If you are one of those people who like to cook with fresh herb or chili but always manages to kill them despite your best efforts, you might like Botanium – the automated, soil-free planter help you NOT kill a plant anymore. So what is Botanium? 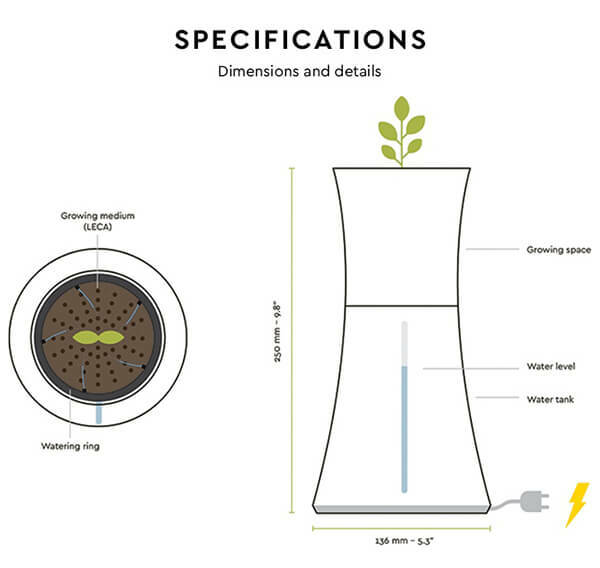 It is a hydroponic pot, which means it grows plants like chilies, herbs and tomatoes without soil. It waters the plants automatically so you don’t need to worry about over or under watering. All Botanium requires you to do is to fill the water tank every now and then, and add some nutrients (included). Sounds interesting? 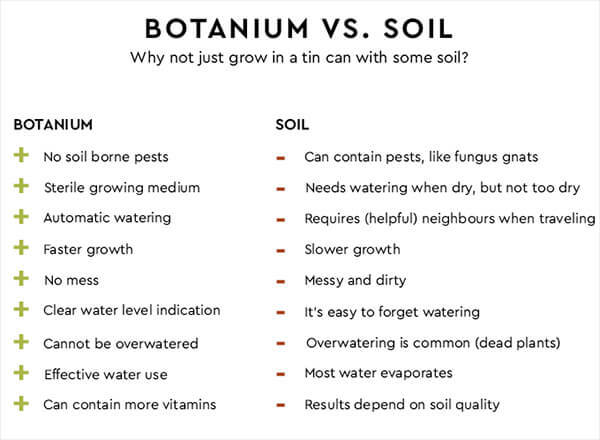 And what you can grow inside Botanium? Thinks like basil, oregano, mint, chili, tomatoes or strawberries. Basiclaly, it works especially well with thirsty plants that normally would require very frequent watering. And another best part of it is you can grow you plants all-year-round! Just put your plant under a standard CFL, fluorescent lamp or LED. As long as it’s not an old incandescent light bulb, the plants will grow, even in the grimmest of winters. If you like it, support it on kickstarter!